The key to getting everything you ever wanted is just saying it. 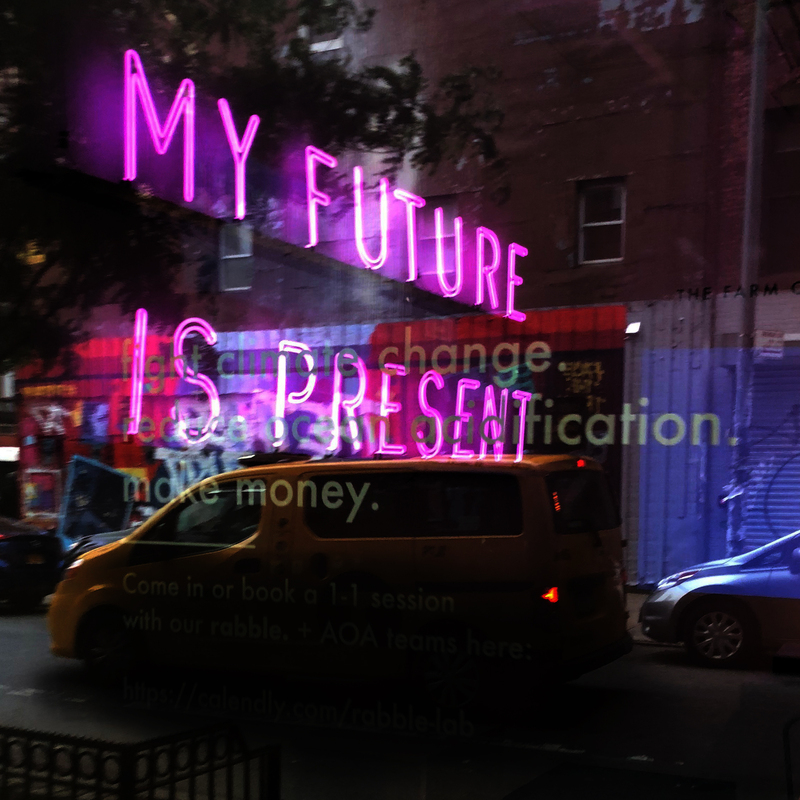 A simple stroll on Rivington, somewhere after Morgenstern’s but right before Bowery, lead me to these bright neon words. They caught my eyes quick enough to pull out my phone and take a photo. I was unsatisfied with the quality of the photo, but both my stride and ego were too strong to turn around. I don’t know the artist or the purpose – and it vanished as quickly as I saw it – but like a gong banging against my brain, the phrase relentlessly rings in my mind. If today is the youngest I’ll ever be and oldest I’ve ever been, I’m living at the junction of both past and future. Some would call that the present, but I’ve always struggled to live in that place. Being present and mindful has only successfully shown itself to me in my sporadic yoga attendance. I’ve always lived in the future. Dreaming makes you do stuff like that. As a child I dreamt of the life I would live, and the places I would go. I drew plans of my future houses, I designed the cities I wanted to live in, and I went to architecture school to fulfill my dreams of building a better life for myself and others. I didn’t expect that response. I certainly was not a spoiled kid nor was she implying that, she was telling me I’ve gotten everything that I have wanted for myself. I wanted to go abroad, and I studied abroad three times. I wanted to live and work in New York City, and I’d held three different internships in the city. I wanted to study architecture, and at the time of the call, I was in my last year of that degree. My mom was reminding me of my relentless desire to curate the life I wanted to live – to take control of my future. I had done it before, so it was time to stop complaining and do something about it. I function under one basic principle, set a goal for yourself with no backup plan. If you want something, say that you are going to do it. To ‘want’ gives room to fail. If I am going to do something, I now must do everything in my power to make that my reality. That simple self-talk is the secret to getting everything you want. I am not here to say that it is easy, nor is it quick. And amid an uncertain future (a cyclical issue in my life) I don’t even feel qualified to be writing these words. Maybe I’m writing them for myself. But I am there with you – whether it’s a vacation you are taking, or a job you are going to have, or an investment you are making – if you say you are going to do it, you’ll do it.